Liftkeeper was built from the ground up to meet the very specific needs of the elevator service industry. Liftkeeper will free you from paper shuffling and duplicate data by becoming the central database of all your information regarding customers, contracts, jobs and elevators. 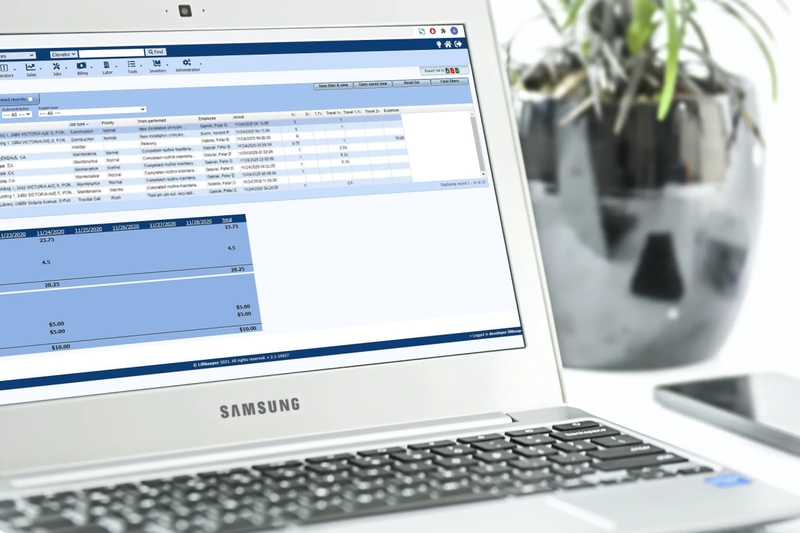 Liftkeeper will help you manage every aspect of your business and make you more productive by controlled information sharing. Liftkeeper's greatest benefits are flexibility and ease of use in the office and in the field. Liftkeeper’s greatest benefit of all…(like in your business) is accessibility. 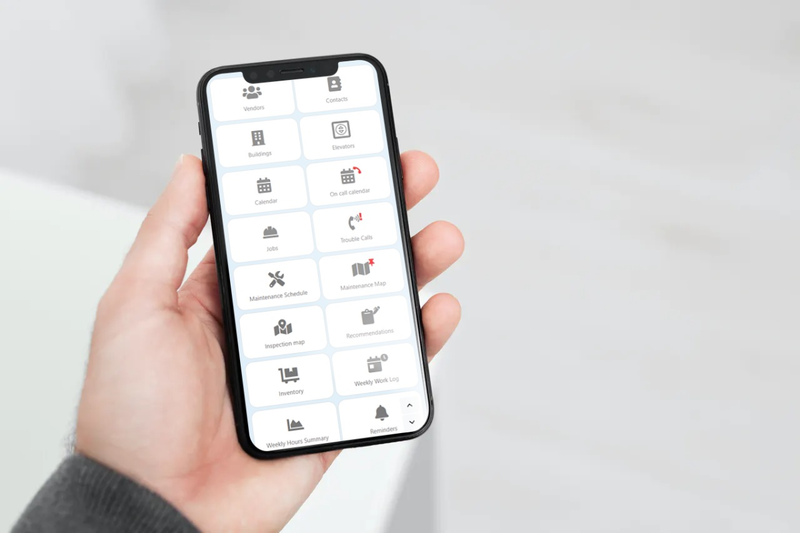 With any device, anywhere (with an internet connected browser) you can be in control of your business. In this competitive business environment accurate information is crucial. Having it on hand is like frosting on the cake. Liftkeeper's goal is to record, store, and share (by controlled access) all the details of your service business. By having information at hand, you will be able to make decisions quickly and accurately. From proposals through jobs to invoicing with just a few clicks, never needing to copy & paste or re-type anything. Invoice a billable trouble call in less than a minute including all the information from each work ticket. Process field recommendations into proposals or jobs without touching a piece of paper. Liftkeeper's webserver architecture puts you in real power when it comes to on-the-move access. Any device, iPhone / Android / Windows, tablet or phone will work with Liftkeeper. You'll be able to record time tickets right on site, take signatures from customers on the touchscreens, attach pictures from equipment, broken pushbuttons, etc. Liftkeeper will automatically email PDF site visit reports to customers. Does having data in spreadsheets and bits of information in different systems make you feel out of control? Liftkeeper will not only gather them all but make it easier to manage. You will also	have easy access to it whether at the office, at home or on the road. Give your customers access to their own maintenance and trouble call history. Let them retrieve copies of time tickets, picture attachments. 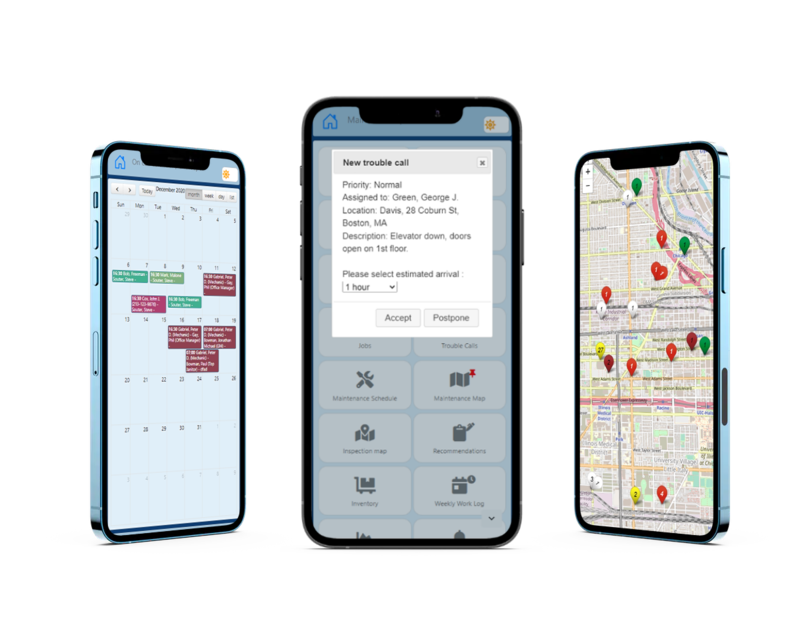 Let them monitor maintenance performance on a map with each of their elevator's maintenance status displayed. Liftkeeper is not an accounting system nor do we have plans to make it one. Instead we designed it to work with any major accounting package. So, if you already have an accounting system, we will work with you to connect Liftkeeper to it. If you don't, let us help you set one up. To use Liftkeeper you only need a browser such as Firefox, Safari, Chrome or Internet Explorer. No software to install on your computers or apps to download on your phones or tablets! Just set your homepage to YourCompany.liftkeeper.com, log in and you are ready to work. Working in internet browsers, you will have incredible flexibility to use Windows or Apple computers and any tablet or smartphone. Easily log in from home to check on some information, send a proposal or dispatch a trouble call to your mechanics. The Liftkeeper server with all your data can be housed traditionally in your office or in cloud-based data centers. In either set-up keeping your imformation private is our utmost goal. We only employ secure and reliable software and hardware solutions. Our server availability is nearly 100% with scheduled maintenance downtime averaging less than 1 hour per year. Think of Liftkeeper as a base or an open platform. With this design you can easily configure the system to fit your company's needs. We also made it very easy to add customized features to the base system. We did this because we know that each Elevator Service company is unique and no one software will fully fit everybody's needs. Just tell us what else would be helpful or what you would like to see in Liftkeeper and we'll quickly create your own private module. 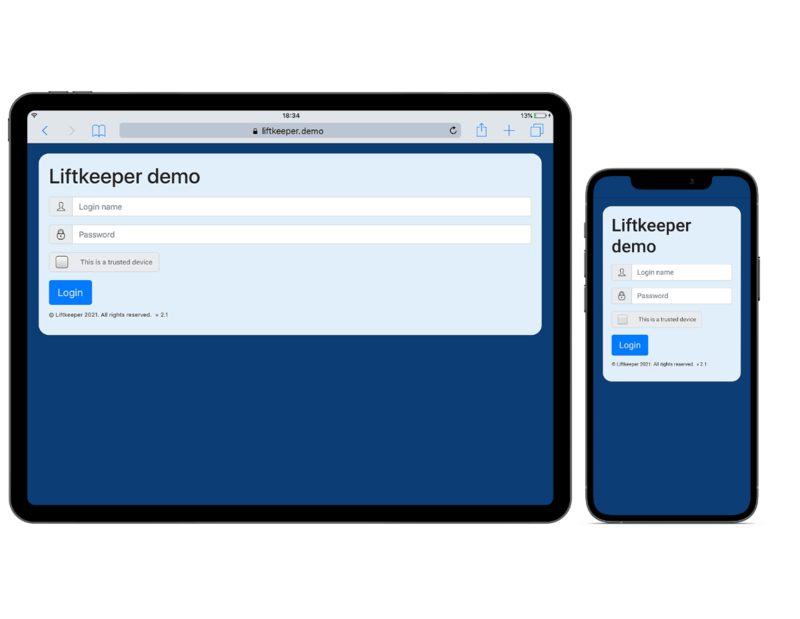 We can also connect to other systems for data exchange and can provide an API for other systems to access Liftkeeper as a web service. Advanced Business Technologies is a full service software development company, offering services in both Windows applications and website development. Since its inception in 1990, ABT has relied on its exceptional combination of skilled engineers and qualified designers to deliver the most comprehensive and competitive software products and services possible to our customers. The idea of creating software tools for the elevator service companies came from ABT's co-founder, Ted Szabo, who worked years for elevator companies prior to starting ABT. The need for a complete application was great and the available tools were insufficient and too expensive to support. Liftkeeper is the latest of these developments, put in good use ABT's website development expertise along with the experience gained by earlier elevator service software applications. Advanced Business Technologies' mission is to provide our clients with business tools that are easy to use, support and maintain, while still upholding our high standards of quality and service. Yes, I am interested in a live presentation. Yes, I am also interested in the tablet / smartphone system.